PBI® is an extraordinary fiber that doesn’t burn in air. 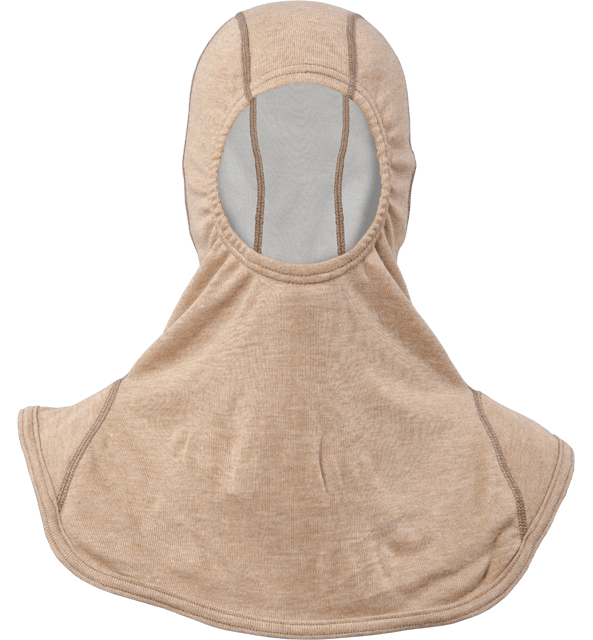 Blended with Lenzing FR®, this fabric is the lightest, most comfortable flame resistant hood fabric on the market. Even though fabric is incredibly lightweight, at 5.7 oz./sq. yd, it has an exceptionally high TPP rating. Add the Comfort Plus™ Liner to the PBI/Lenzing FR blend, and the Thermal Protection Performance (TPP) rating dramatically improves. UL Classified to NFPA 1971 Standard on Protective Ensembles for Structural Fire Fighting and Proximity Fire Fighting – Current Edition.